After a long weekend of ham and chocolate, you may be in the mood for a little leg stretching. You might try the newest of the city’s “Discovery Walks”—a series of strolls that showcase Toronto’s history. 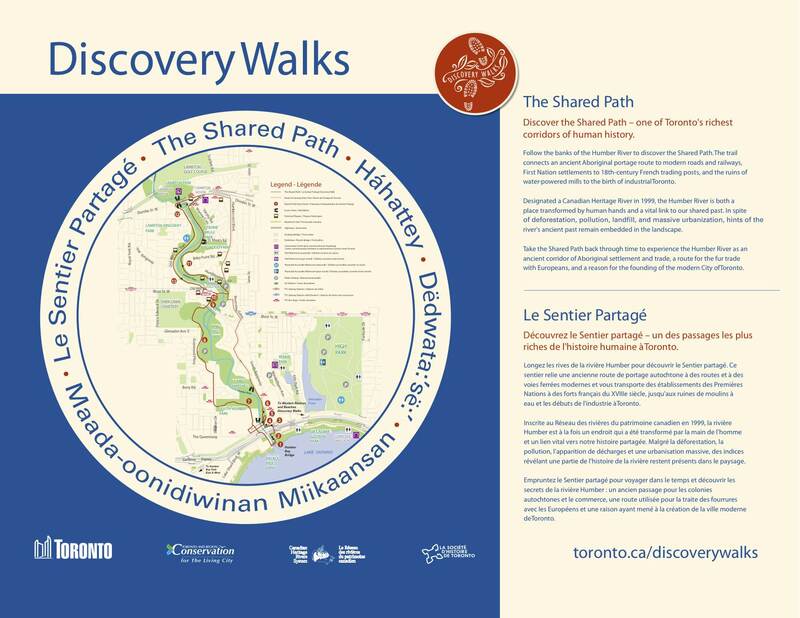 “The Shared Path”, the newest of 12, runs along the Humber from south of Dundas to the lake, and crosses ancient Native settlements and more modern ruins from old Toronto. If you’re feeling sprightly (or pedal powered), you can travel north from Weston to at least as far as the Humber Arboretum along the river. Stay to the right, though—I’ll be passing you on the left.